I tried to raise the spirit to be able to update today. 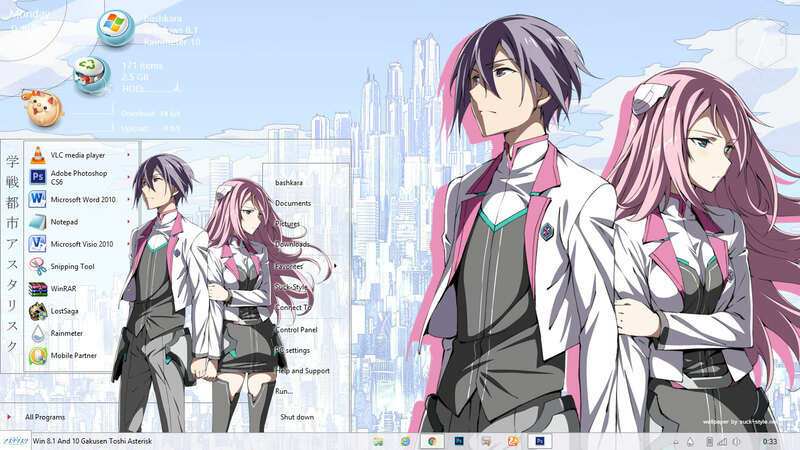 In fact, this theme even finishes ahead of the version of windows 7. I did is just fixing small details that still not neat and I was finally able to make it better. Because the windows 7 version of Boku no Hero theme take the basic style of this theme, of course, will not be much different. Start menu, background folders and others, all of them the same as the version of Windows 7. 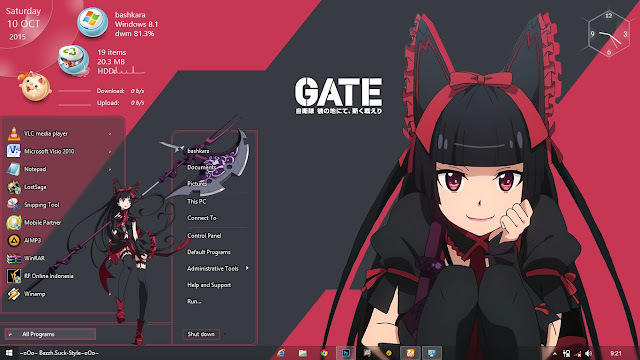 By the way, this theme also works on windows 10. This time, I combined the theme with Rainmeter skins Rota HUD by Extra Cycle, Mark III by Xune531 and trans bar skin, and my desktop looks stunning I think. 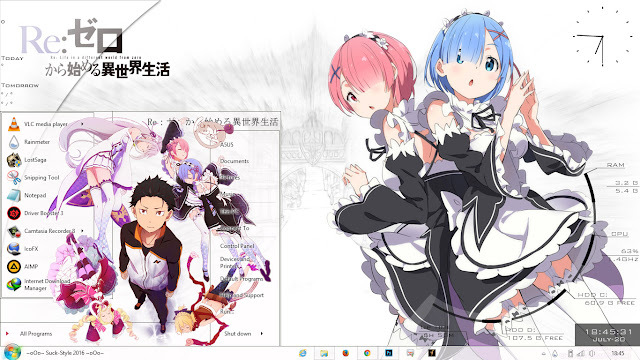 Back to topic, tonight I want to share a new theme for windows 8.1 and 10. 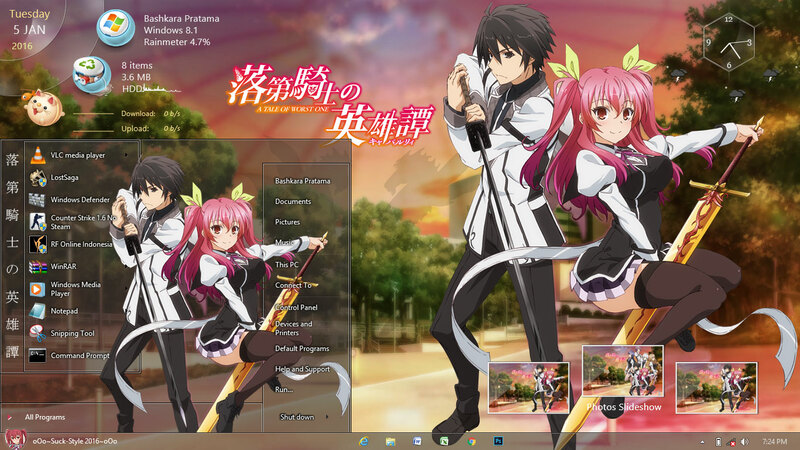 Now was come from Rakudai Kishi no Cavalry. As you know guys that I’ve made windows 7 version for this anime. 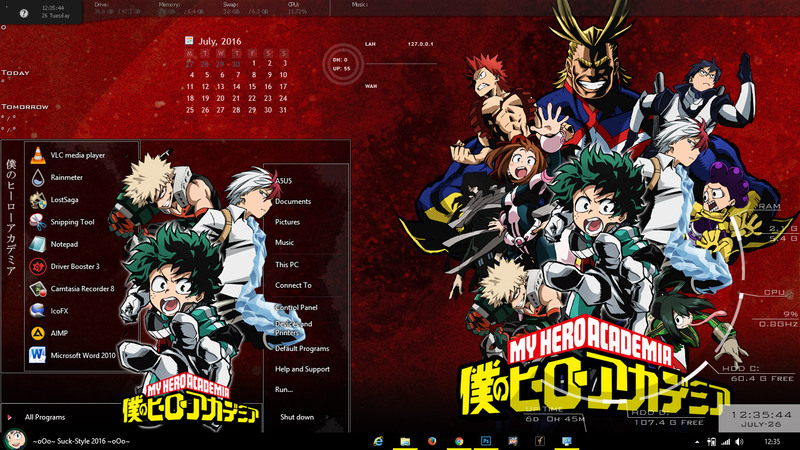 Some people asked me to make for windows 8.1 and 10 version too, So I come for it. 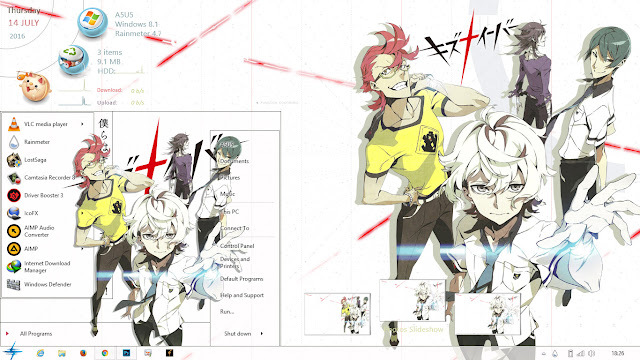 Not much to explain about this theme, all style is same like windows 7 version. Same like charlotte win 7, I make this theme on December, 2015. But I just can posted it today.